Simple syrup is a vital bar ingredient. Most good bartenders wouldn’t dream of starting a shift without a healthy stock of liquid sweetener. That’s because simple syrup dissolves easily into cold drinks and makes scaling recipes easy—an important factor when you’re furiously batching cocktails at a high-volume bar. But simple syrup has plenty of applications in the kitchen as well. Along with salt, sugar is an age-old preservative that was once essential for storing fruits in the cold months—you can think of simple syrup as sort of a pickling brine for sweet stuff. Bakers, meanwhile, keep sugar syrup on hand for glazing, and brush layer cakes with it to keep them fresh and moist. 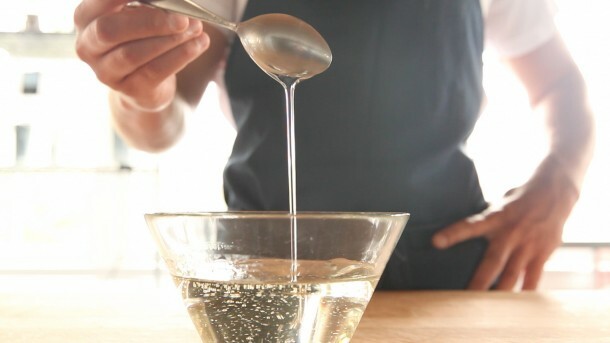 Start by checking out our three Simple Syrup techniques. Depending on what you get up to, your syrup may require some modifications—it’s good to add glucose to the mix when you’re candying fruit, for example, to prevent crystallization. But all the ideas below begin with a simple solution of sugar in water. Bartenders regularly wow their customers with exotic-sounding “housemade” ingredients such as lemongrass or blueberry syrup. What they may not mention: infused simple syrups are shockingly easy to make. And they have all sorts of fun uses—try, say, setting up a DIY cocktail bar with a few different spirits, simple-syrup infusions, mixers, and garnishes. Your party guests will love building their own drinks while experimenting with new flavors. 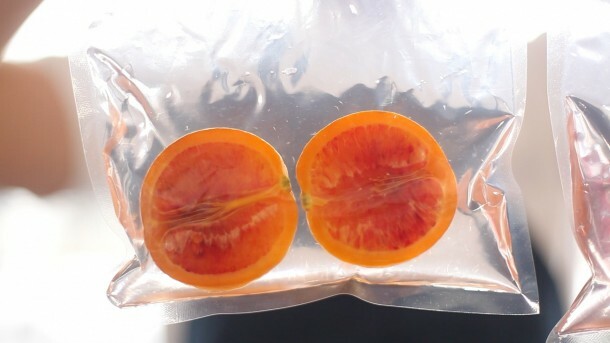 No need to heat the mixture either; cold-processed infusions have a distinctly bright, vivid quality that’s especially appealing when working with fresh fruit. If you find most candied fruits to be cloyingly sweet, try our technique for Half-Candied Blood Orange. We blanch the fruit in salt water—the salt diffuses into the pith, masking its bitterness. The best part? You can use any citrus you have on hand. Equally versatile: our method for smoothly textured Cured Lemon Peel. We cook the peel sous vide with a 1:1 simple syrup, slice away the pith, then keep it around in the fridge until we’re ready to use. Wake up a weeknight dinner by sprinkling cured peel atop chicken, salmon, or our Chickpea Tuna Salad, or serve it alongside your favorite ice cream or sorbet. Get creative—there’s no limit to the uses for this bright, addictive snack. One of the all-time best uses for leftover simple syrup: work it into a light, refreshing sorbet. Use simple syrup in a just-sweet-enough dressing to transform a simple bowl of fruit into a cohesive dish with a great glossy look. Baker pro tip: brush simple syrup onto cooled layers of a layer cake to keep your confection fresh and moist. Adding a little booze—rum, vodka, etc.—will reduce the risk of a too-sweet treat and keep the cake nice and moist. The extent to which bartenders hate making mojitos may have been overstated, but there’s a reason those mint coolers have a bad reputation. It takes time and energy to muddle drinks à-la-minute, and it’s easy to overbruise delicate ingredients if you’re not being careful. Often, cocktail recipes that call for muddling can be adjusted by using simple syrup instead. A great example: this muddle-free Old Fashioned from Seattle’s own Robert Hess. Start with our gluten-free, Flourless Carrot Cake, topped with super-cute candied carrots cooked sous vide in simple syrup. 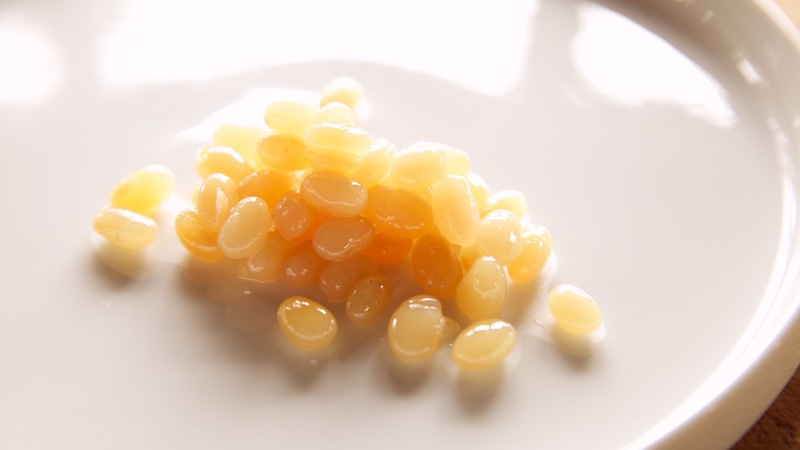 For the Jellied Beans in our Fruit Minestrone, we sous vide navy beans and a simple syrup made with sucrose and glucose syrup to yield toothsome little candies that will last in the fridge for months. Want to mix a cocktail with simple syrup right this minute? Check out our very own Yard Bird, a smooth libation made with rum, Cynar, and two kinds of bitters. And of course, we’d love to hear about your favorite uses for simple syrup—let us know in the comments!